The trampoline park industry in Australia has grown from a few centres in 2012 to over 80 open today. With this increase in popularity comes a higher chance of injury, and a greater role for standards to play in minimising risks that might lead to such injuries. Sydney Children’s Hospital conducted a study of 40 trampoline park related injuries and found that 55% of patients had a soft tissue injury or sprain and 37.5% had a fractured bone(s). Causes of injuries included awkward landings on the bed, larger children bouncing alongside smaller children, and attempted somersaults or flips. Through collaboration with industry, government, academic and consumer groups, Standards Australia recently published a new Australian Standard, AS 5159.1:2018, Trampoline park facilities, Part 1: General safety requirements and test methods. As the industry continues to grow in Australia and worldwide, AS 5159.1 provides a voluntary benchmark for both the design, installation and operation of trampoline parks. It presents minimum safety thresholds to help designers and trampoline park owners to manage risks for park patrons. Regular inspections are a key feature in the standard. Daily checks look for dangers such as broken springs, tears or deterioration, and tripping or slipping hazards. A detailed equipment integrity inspection is recommended every week to examine the operation and condition of all parts, followed by an even more comprehensive inspection annually. 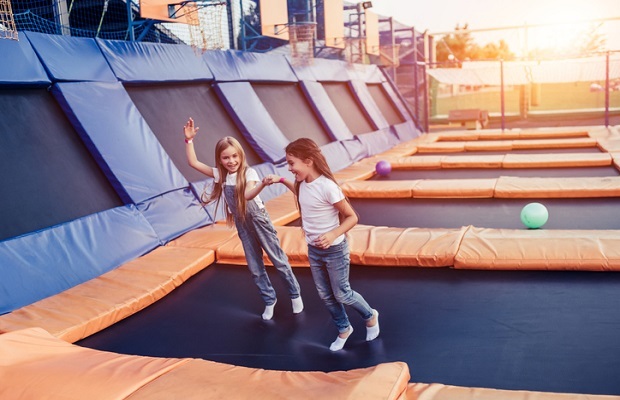 “In drafting this standard, we were conscious that we needed to strike a balance between the known hazards of trampoline parks and the benefits that could be obtained from their use,” said Professor Eager.